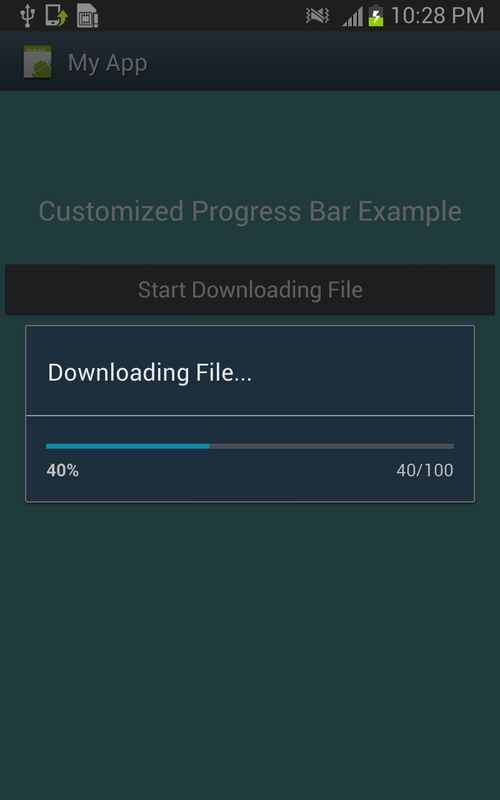 In Android we can customize the Progress Bar and make it more attractive and beutifull. 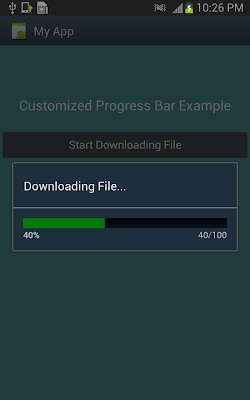 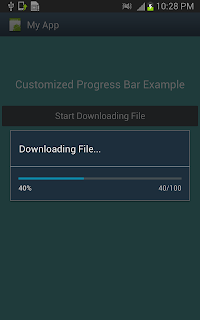 Here I have used same example of file downloading explained in my previous post Android Progress Bar Example , But in this post I have customized the Progress Bar. 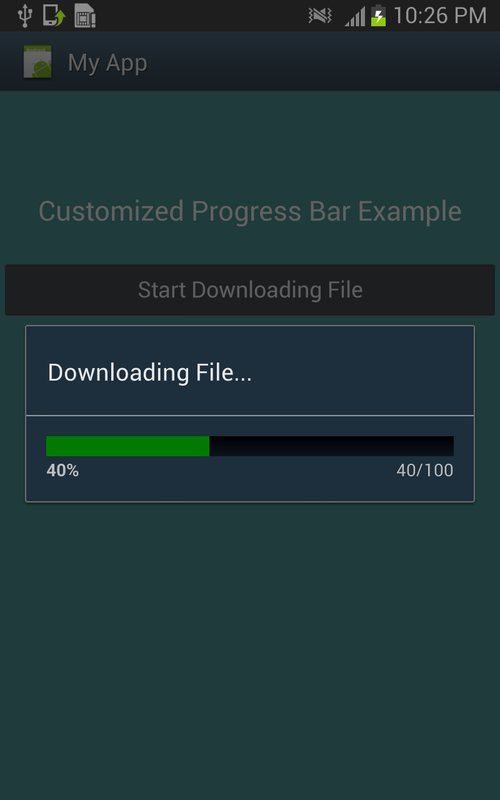 To customize a progress bar we need to define the properties of progress bar like Color, Width, Start Color, End Color, Angle etc. 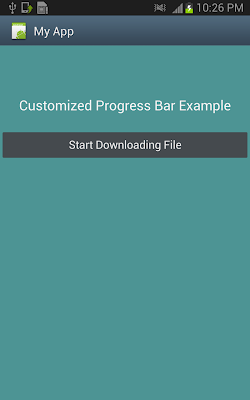 These properties are defined in .xml file inside drawable folder. 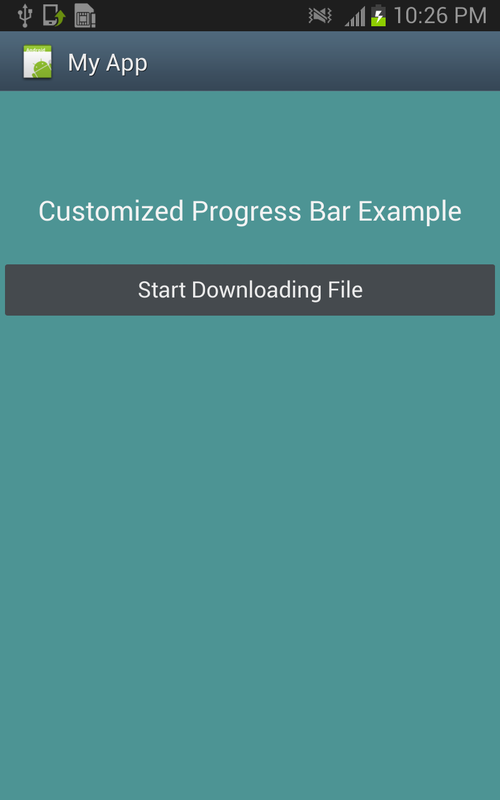 I require custom android app development services. 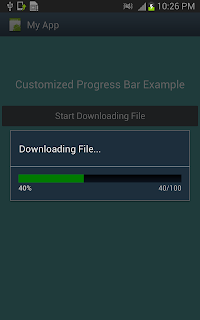 On the off chance that you have any thought concerning such affiliation that goes on such associations then let me know.